Between the anti-Russian propaganda pouring forth from the Obama administration and the deeply biased coverage from the U.S. news media, the American people are being prepared to accept and perhaps even cheer a massacre of eastern Ukrainians who have risen up against the coup regime in Kiev. The protesters who have seized government buildings in 10 towns in eastern Ukraine are being casually dubbed "terrorists" by both the Kiev regime and some American journalists. Meanwhile, it's become conventional wisdom in Official Washington to assume that the protesters are led by Russian special forces because of some dubious photographs of armed men, accepted as "proof" with few questions asked by the mainstream U.S. news media. While the U.S. news media is treating these blurry photos as the slam-dunk evidence of direct Russian control of the eastern Ukrainian protests -- despite denials by the Russian government and the protesters -- the BBC was among the few news agencies that provided a more objective assessment, noting that the photos are open to a variety of interpretations. However, in Official Washington, the stage is now set for what could be a massacre of Ukrainian civilians who have risen up against the putschists who seized control of Kiev in a Feb. 22 coup that overthrew elected President Viktor Yanukovych. The violent putsch was spearheaded by neo-Nazi militias, some of which have now been incorporated into Ukraine's National Guard and dispatched to the front lines in eastern Ukraine. If the slaughter of the eastern Ukrainian protesters does come, you can expect Official Washington to be supportive. Whereas the Kiev protesters who seized government buildings in February were deemed "pro-democracy" activists even as they overthrew a democratically elected leader, the eastern Ukrainian protesters, who still consider Yanukovych their legitimate president, are dismissed as "terrorists." And, we all know what happens to "terrorists." "Weymouth: Do you think the Russians will actually release the [government] buildings, as they said they would in last week's Geneva meeting? "Avakov: Russia is taking advantage of the depressed condition of the local economy of these regions. ... But even in spite of that situation, in the city of Kramatorsk [the Russians] did not have the level of support that they expected. We do not behave radically there for one reason. "Weymouth: When you say 'radically,' do you mean you don't fight the terrorists? 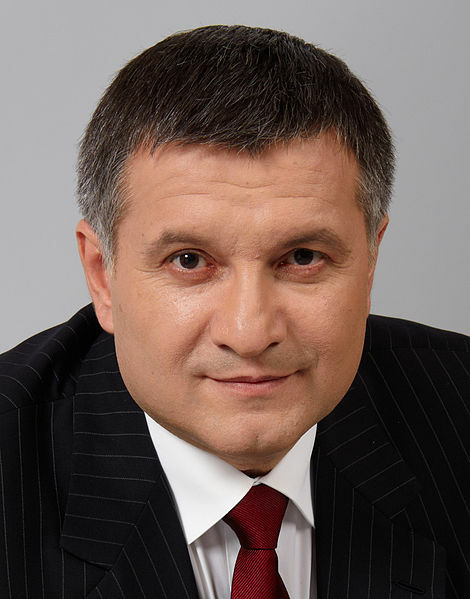 "Avakov: We are not acting radically in that region for two reasons. One is we do not want to hurt the peaceful population. And the second reason is we don't want to turn the population against the central government. But that does not mean it will stay like this forever. "Weymouth: What will you do? "Avakov: We will start liberating people from the terrorists. ... We are going to take full control over the roads, irrespective of the resistance of some groups." What was journalistically remarkable about this interview was that it was Weymouth who began describing the eastern Ukrainian protesters as "terrorists," though these people who have seized government buildings have not engaged in what we would traditionally call "terrorism." Their actions have been no more violent -- and indeed much less violent -- than the "pro-democracy" activists in Kiev. In February, the neo-Nazi militias killed more than a dozen police officers with firebombs and light weapons.